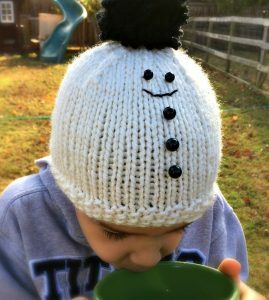 Christian's Snowman Hat - Free Knitting Pattern - love. life. yarn. Cast on 52 sts. Divide evenly among 4 dpn’s. Join, being careful not to twist. Round 1: *K1, p1; repeat to end. Round 2: *P1, k1; repeat to end. Rounds 3-6: Repeat rounds 1-2. 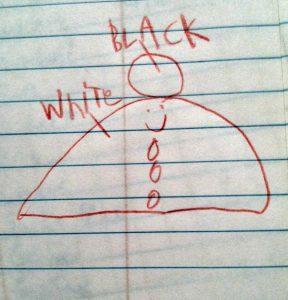 At this point, the hat should be 5″ from beginning. Round 1: *K11, k2tog; repeat to end – 48 sts. Round 3: *K4, k2tog; repeat to end – 40 sts. Round 5: *K3, k2tog; repeat to end – 32 sts. Round 7: *K2, k2tog; repeat to end – 24 sts. Round 9: *K1, k2tog; repeat to end – 16 sts. Round 11: *K2tog; repeat to end – 8 sts. Cut yarn, leaving a long tail. Draw yarn through remaining 8 sts and pull tight to close. 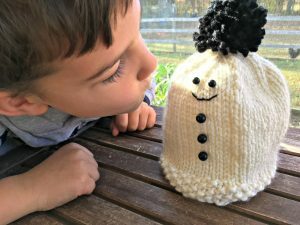 Using a pom-pom maker, create a large pom-pom. Attach to top. Sew on buttons as shown in picture. Embroider a simple smile. Weave in ends. My guess is to just leave a long enough tail to sew the back. Can this be adjusted for a big kid/adult? Hi Gladys! If you use double pointed needles there will be no seam to sew. 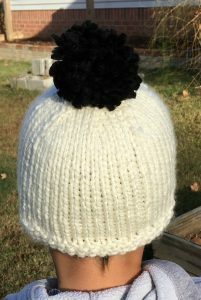 That’s what I did with this hat, but I didn’t know how to use them when I first started knitting. I used to knit a hat flat and leave a long tail to sew up the back just like you mentioned. Either way is okay! 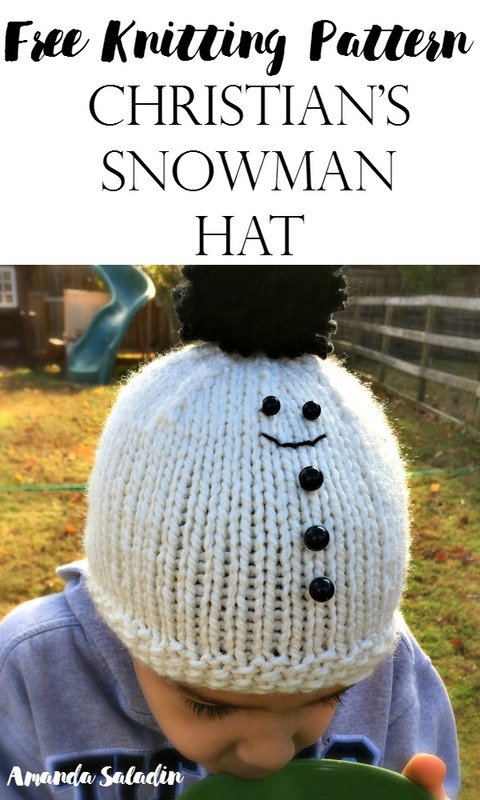 It can be adjusted for a larger size, you just need to cast on the required number of stitches (typically an adult hat is about 21″ circumference) and when I make an adult size I don’t start decreasing until the hat is around 5-6″ long (I’m aiming for a total of 8″ long).